Just by looking at that picture, you know this is a messy recipe. If you mind getting your hands dirty,then your’e better off looking, rather than enjoying this loaded southwestern bruschetta. I am not afraid of getting my hands or face a little dirty and so I dug in. Like so many other foods, the messiness of the dish was entirely worth it. Think about it, would you avoid an ice cream cone or popsicle in the summer just to keep clean? I think not. 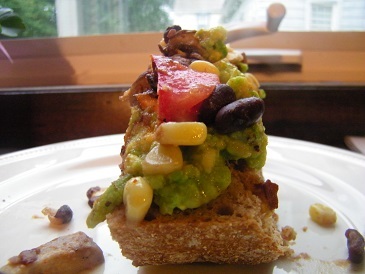 Therefore, loaded southwestern bruschetta is a deliciously messy idea. What are some of your favorite finger-licking-good foods? Thinking about messy summer foods reminds me of my favorite cold treat. Growing up, I was nearly addicted to toasted almond ice cream (the kind that comes neatly wrapped, on a stick, and sprinkled with toasted almond flavored pieces). Anytime there was an ice cream truck that came by, it was guaranteed I would order a toasted almond frozen treat. I would sit at the beach eating my half melted ice cream pop, not even caring that half of it was on my hands and that the seagulls above were eyeing me. When I was finished, I only longed for more. Maybe that is why I’m also crazy for the Almond Joy. *Find my Almond Joy Bar post here (recipe from Rawmazing) and my Almond Joy Popcorn recipe here. For an Almond Joy-inspired breakfast treat, try my Almond Joy Overnight Oats recipe (click here for the recipe). 1- First, make the avocado spread by halving the avocado. Then scoop out the green fruit’s ripe flesh into a bowl. Add the spices and the juice of the lime. Mix well. Then set aside in the fridge to let the flavors combine. 2- Over medium heat, add olive oil to a pan. When the pan is hot, add the diced mushroom pieces. After a couple of minutes add the corn, tomato pieces, black beans, and spices. Stir and heat until the corn is warmed through (if using frozen corn) or until the mushrooms are fully cooked. Put a lid on for the last minute of cooking to moisten up the mushrooms. 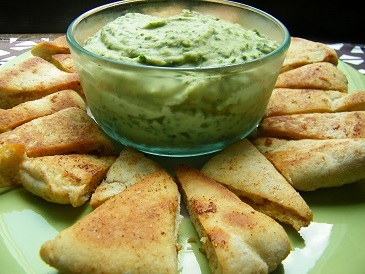 3- Spread the avocado mash on the half loaf of bread. Then, slice the bread into thick slices. Top each slice with a generous helping of the corn salad. Enjoy! Lately, I’ve been thinking a lot about what makes me happy. I’ve gone through some major life changes over the past few months, which have caused me to think and rethink how I see the world and how I see myself. I broke up with someone I’d been with for three and a half years. He was a big part of my life and he helped me grow to be the person I am today, but as the last few months of our relationship wore on, it was more and more evident that we were not growing together, but apart. It didn’t feel right to me anymore and at my core, I knew I had to make the decision that was best for both of our futures (and feelings). It was difficult, but I am finally starting to feel at ease with the decision I made. That choice has made me think about what I really want in life and what I want in a partner. Right now, I’m not entirely sure about what I want out of life, but I do know I want to be happy. That is what is most important to me (and one thing I’m not willing to sacrifice). On the eve of my 27th birthday, one of the things I am certain of are the things I enjoy doing most in life. They aren’t even complicated or extravagant things. Instead they are simple like as spending time outside, gardening, food (eating, cooking, and enjoying it with friends and family), writing, reading, and being creative (as well as appreciating others’ creativity). What are the activities that make you happiest and that keep you going? What makes you want to wake up each morning to see the new day? 1- Preheat the oven to 375 degrees. While the oven is preheating, slice the sweet potatoes and put them on a baking sheet. Then drizzle the olive oil over them. Sprinkle the spices on and then mix all of the potatoes together with the spices, until each slice is evenly coated. Bake the sweet potatoes for about 15 minutes before flipping them and cooking them for another 15 minutes. When finished, they should be tender and slightly browned on both sides. 2- While the potatoes are cooking, heat the olive oil, black beans, garlic, and spices in a pot over low heat. Stir periodically. Take off the heat and cover when the beans are warmed. *You can save this step until when the potatoes have been in the oven for about 15 minutes already. 3- Make the guacamole by halving the avocado. Then take the seed out. Score the avocado with a knife by slicing tic tac toe shaped lines on the fleshy part of the avocado (all the way down to the skin – 1 cut per 1/4 inch). 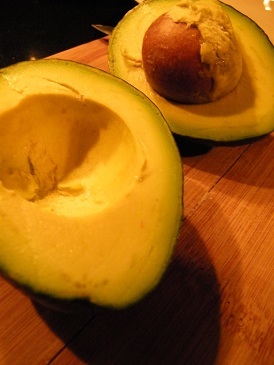 Then scrape or squeeze the fleshy part of the avocado out of the skin. Add it to a bowl with the rest of the ingredients and mash with a fork. 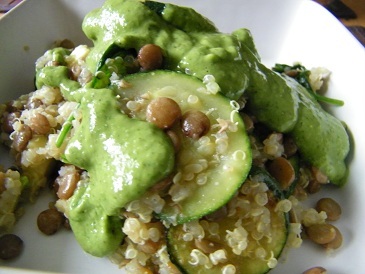 Put the guacamole in the fridge until the potatoes are ready (to let the flavors combine). *If I’d had a tomato or cilantro, I would’ve added that to my guacamole too! I just happened to be low on ingredients since the next day was grocery shopping day. 4- Assemble the sweet potato bites by placing sweet potatoes on a serving tray. 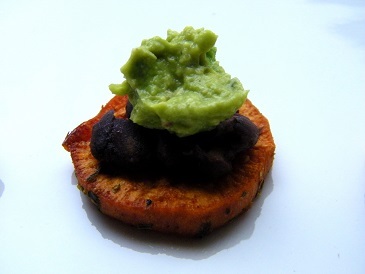 Then spoon about one teaspoon of black beans on each medallion-shaped potato. 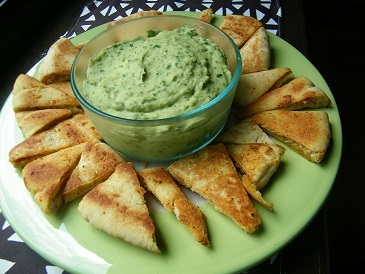 Top each with a small dollop of guacamole (Oh how the word dollop still reminds me of Martha Stewart). Serve immediately & enjoy. Okay, I admit it. I broke down and bought a couple of different superfoods. After watching Food Matters, I became curious about why people were running out and buying foods like goji berries and raw maca. I didn’t know the first thing about superfoods, aside from the idea that they were supposed to be very good for you. Not too long after watching that documentary, I gave in and bought both goji berries and cacao nibs. Almost immediately, I found myself adding the cacao nibs to different foods I normally made like oatmeal and in trail mix. The goji berries, however, were a different story. At first bite, I didn’t really like them. They were fairly tough on the outside and had a fruit flavor that I didn’t like the taste of (which is odd because I’d loved every fruit I’d tasted prior to this experience assuming goji berries are a fruit?). I knew they were supposed to be good for me and I’d paid a pretty penny for a small bag of the pretty, coral-colored berries, so I tried to eat a small handful with other dried fruits I enjoyed, like apricots. I tried hard to like them, but efforts were to no avail. They sat in my cabinet for a couple of months with little or no use. One day, I was talking with the guy who lives upstairs from me and he was telling me how he and his girlfriend were on this superfood kick. They’d bought all different powders, berries, and seeds in hopes of adding them to their diet. I admitted how I’d tried goji berries, but wasn’t too fond of them. He then told me how he loved eating them with chocolate. Ding, ding, ding. It was like the light bulb went off in my head. I’d never tried the berries with chocolate. What a genius idea. 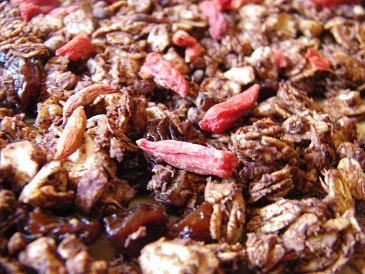 Almost immediately, the idea for chocolate goji berry granola was born. 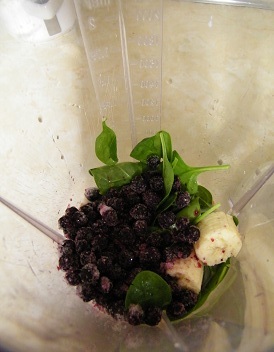 The combination was a success and now I have a new use for all those unused berries I bought. Whether eating them with granola defeats the purpose or not, is not something I’d like to consider. It was too delicious to contemplate the idea of how healthy it was. 1- Preheat the oven to 325 degrees and line a baking sheet with parchment paper. 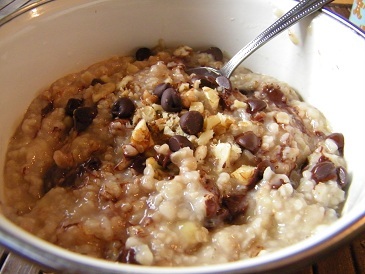 Then add your rolled oats, coconut, chopped nuts, raisins, and cocoa powder to a mixing bowl. Mix the dry ingredients together. 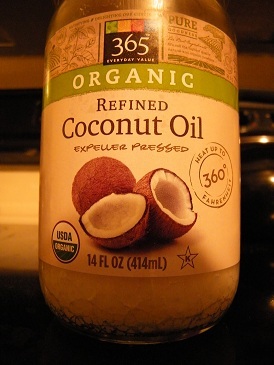 2- Melt the virgin coconut oil either in a small pan or in the microwave. Add the Coconut oil, agave nectar, and vanilla into a glass measuring cup. Stir once before pouring over the rolled oat mixture. Mix the oats with the wet ingredients, making sure all of the oats are coated. 3- Spread a thin layer of granola onto the parchment paper. Bake for 12-15 minutes. The granola is finished when the raisins on the edges of the pan begin to turn puff up. 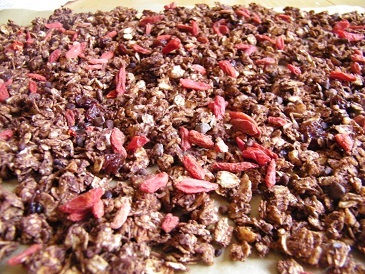 After the granola has cooled for about five minutes add the goji berries and cacao nibs (I thought cooking them would make them lose their many nutritional benefits such as the antioxidants, vitamins, and minerals that they provide). Let the granola cool before using it (it will become crisper as it cools, it will still be slightly soft when it comes out of the oven). In case you missed my two other posts on granola, I’ve also made a banana walnut version, as well as maple pecan granola. Enjoy! For the past few weeks I’ve been trying to improve my diet by eating healthy fats with cholesterol lowering benefits. I have also completely stopped cooking with butter. In reading more about consuming healthy fats, I learned that good-for-you fats also need to be eaten in moderation. According to Prescription for Nutritional Healing, which was written by Phyllis Balch, CNC, fats should only make up about 10 to 20 percent of your total calories each day. If I aim to eat about 2,000 calories per day, that would be about 200 to 400 calories. This percentage really made me think about the fat sources I’m consuming and where I should limit myself. In two tablespoons of peanut butter there is about 200 calories, most of which come from fat. I don’t think I’ll be completely cutting out peanut butter or any other healthy fat source, but I will try to limit the amount I eat. I tend to be a snacker, so while I won’t over eat one food, I will eat many little snacks throughout the day and sometimes that includes cashews, walnuts, and pecans,. Time to start paying attention to what I’m actually eating (without getting crazy about counting calories or any unhealthy thoughts that can come along with paying attention to food). Recently, I’d been looking up baking substitutions for eggs, butter, and other less than healthy ingredients. I found a pin on Pinterest that said to use ground flaxseed instead of eggs. It seemed simple, but I guess I should have become suspicious at the moment I had that thought. The post explained to add one tablespoon of ground flax to three tablespoons of water and let the mixture thicken. As planned, the golden flaxseed absorbed the water. 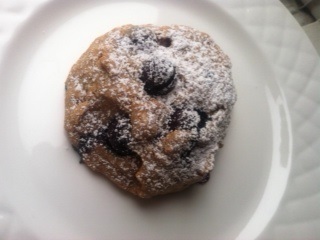 I decided to try using these “flax eggs” instead of eggs in my banana oat pancake recipe. Let me just warn you, “flax eggs” and real eggs are not comparable. While the batter held together well, the pancakes didn’t rise at all. They also never really cooked through all the way, as they do when I use eggs.When I finally admitted defeat, I scraped the gooey flat cakes off of the hot frying pan coated in coconut oil and set them on a plate. As expected, the center was still uncooked, but the outsides were golden-hued. In any event, I knew these were never going to fully cook, so I frustratingly carried them to the trash can. Down they went, as did my plans for a delicious breakfast. I was going to use the last of my baked sweet potato to make sweet potato oatmeal, which by the way, was as tasty as it was healthy. Instead, I thought back to a pin I saw on Pinterest for rocky road banana ice cream. It was then that I was committed to making rocky road oatmeal. There was no way I was starting the day without enjoying a sweet, but healthy breakfast. Rocky road oatmeal turned out to be as simple, as it was sweet. A mashed over-ripe banana, maple syrup, heart healthy walnuts, and dark chocolate chips added flavor to normally bland quick oats. I left out the marshmallows because I didn’t want it to be too sugary. I’m also trying to avoid overly processed products, such as white table sugar (which I was sure marshmallows were full of). Warm chocolate chips compensated for the lack of marshmallows and added both flavor and sweetness. They melted leaving small swirls of chocolate behind as I stirred my warm rocky road cereal. UPDATE: The flax eggs may not have been the downfall of those pancakes. 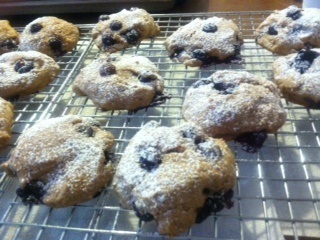 Recently, I learned that using oat flour on its own can lead to a gummy end product. Supposedly mixing oat flour with rice four can create a more even texture in baked goods. 1- Heat 2 cups of water and a dash of salt (less than 1/4 teaspoon) in a sauce pan over medium-high heat. 2- While you’re waiting for the water to boil, mash the banana (I used a potato masher, but you could use a blender or food processor) and chop the nuts. 3- Add the oats to the boiling water and turn the heat down to medium-low. Continually stir the oats and water. After about 3-5 minutes the oatmeal should be a thicker consistency. Remove it from the heat when it is the thickness you desire. 4- Add in the mashed banana, vanilla, maple syrup, and 1/3 of a cup of the chopped nuts. Serve in two bowls. Top with chocolate chips and the remaining tablespoon of chopped pecans and walnuts. This is a recipe that I’m holding on to. It will definitely be made again (and again!). Let me know what you think! Also, if you have any tips for cooking without eggs or using “flax eggs” feel free to share, as I obviously went wrong somewhere in my disastrous pancake experiment. I hope your breakfast turned out as satisfying as mine did. I am an anti-drug type of girl. I don’t like being prescribed pills. Sometimes I am really naughty and I won’t even take prescribed drugs the doctor ordered. Something about taking medicine just doesn’t feel right to me. It just doesn’t seem natural, not to mention the number of side effects that can come with taking prescription medications. If I feel minor discomfort, usually I let it pass. Tylenol isn’t even in my medicine cabinet. Naturally, I am against taking statin drugs to lower my cholesterol. If there is a lifestyle-change that can be made to lessen or reverse a medical issue, that is the first way I will try to solve the problem. This week I aim to increase my consumption of cholesterol-lowering fats known as monounsaturated fatty acids and essential fatty acids. Last week, I added more flax into my diet (mostly in deliciously purple-colored “green” smoothies), which contain omega 3 fatty acids, which are one type of essential fatty acid (EFA). Other foods are also high in these types of fats like walnuts, which can also help lower cholesterol. While the benefits of decreasing cholesterol in this way are only modest, it is certainly a start in beginning to give my body what it needs to become healthier. Bring on the almonds and foods with plant-based fats such as avocados, peanut butter, olive oil, sesame oil, nuts, and seeds. One thing to be careful of is over consumption of fats. Despite that these fats are considered healthy, they should still only remain a small portion of your total caloric intake (about 10 to 15% of your daily caloric intake). For a recipe with cholesterol-lowering organic sesame oil, try making my vegetarian rice noodle stir fry. *To understand more about why Omega 3 fatty acids are so important to our bodies, read this informative post by jennovafoodblog! Prescription for Nutritional Healing: Fourth Edition by Phyllis, A. Balch, CNC.